Georgiana Molloy née Kennedy is known as the first internationally successful female botanist in Western Australia but her thirty-seven years embraced many other personal stories. Here’s a summary of her short life for anyone who wants to know a little more before exploring this website. 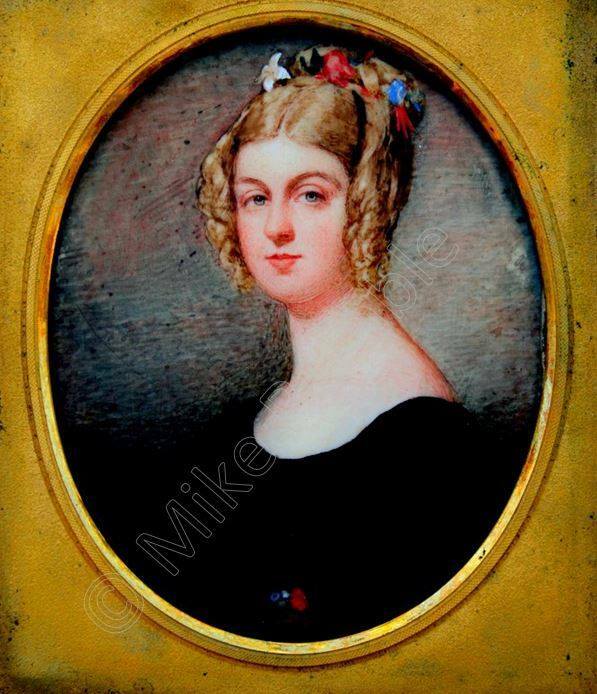 Many sources say that Georgiana was born at Crosby Lodge, the country house built by her father, but on May 23rd 1805, she was born in the ancient city of Carlisle in a large ‘mansion house’ built by her grandfather in the 1700s. The home in Abbey St was a place of space and luxury with a large formal garden at the back, its own carriage house and stables, but it was situated on a narrow street in a busy town. When her father David Kennedy moved his family out of the city and into newly built Crosby Lodge, the world changed for Georgiana. She was suddenly surrounded by green, open space. In 1819, David Kennedy died suddenly and was buried in the graveyard near the end of Crosby’s original drive. Georgiana was 14 and she could see the church from her window. His death marked the beginning of distressing times for the Kennedy family. It took me three years to piece together what happened and it’s not what has been told before. For more than a decade, Mrs Kennedy and her children faced problems that rocked their social world. They moved out of Crosby Lodge, Georgiana’s brother Dalton became a boarder at Rugby School in Warwickshire and soon afterwards the whole family relocated there, just about as far from the sea in all directions as it’s possible to be in England. Georgiana soon had very good reasons to dislike the place she later called ‘horrid Rugby’. Those years were miserable for her but they were influential. Georgiana refused to accept or ignore what was happening around her and it has earned her a reputation for being extremely pious. Her defiance of her mother and determination to stand up for the truth should have earned her a reputation for strength of character. It was a very unusual decision in 1828 for a young woman to decide to leave home with no prospects of marriage or employment. In February 1828 she accepted an invitation to stay for a while with Alexander Dunlop’s family at Keppoch House in Dunbartonshire, Scotland. She had never met his daughters before but after several years of exchanging letters they were destined to become good friends when she arrived at their home. After a week’s journey from Rugby, Georgiana disembarked on the beautiful shore of the Gareloch. Mrs Kennedy thought her daughter would soon return home ‘penitent’ but she was quite wrong. Georgiana’s time in Scotland has been described as ‘almost a retreat’ but that’s not the case. There was dancing, music and noisy dinner parties with games. On a steamboat trip with other young people, including eligible men, she shocked other passengers by eating her picnic sitting boldly on top of the paddle cover. When the group arrived at an inn, it was full so they slept on the floor. At Keppoch, Georgiana walked and walked, along the shore and on the hills. She collected wild flowers and developed the horticultural knowledge she’d learned from her father into more practical skills, working in the walled garden all year round. During her stay in Scotland, she was further developing her religious beliefs. When her close friend Helen Dunlop married the Reverend Robert Story, minister of Roseneath on the other side of the loch, Georgiana’s intellectual world opened wide and she never forgot her visits to Roseneath Manse. Story was an inspiring speaker and his many house guests enjoyed long discussions after dinner. What she heard there challenged her thinking in a way she enjoyed. She quickly accepted the new concept of ‘peace in believing’ that she heard preached in Roseneath and nearby Row (Rhu). But this new idea that God loves us all and forgives everyone, even ‘sinners’, was so daring that the Church of Scotland deemed it heresy not long after she had left. Georgiana stayed on at Keppoch House for over a year, much longer than her mother had expected. The house was recently built, elegant, fashionable and had wonderful gardens and grounds close to the shore of one of the most beautiful lochs in Scotland. But as the anniversary of her arrival in Dunbartonshire drew close, Georgiana knew she would soon have to leave. Local people were beginning to talk about the unusual length of her stay and wondering why she didn’t go home. While Georgiana was in Scotland wondering what to do next with her life, her old friend – and future husband – Captain John Molloy, was in England moving from one barracks to another with his battalion. 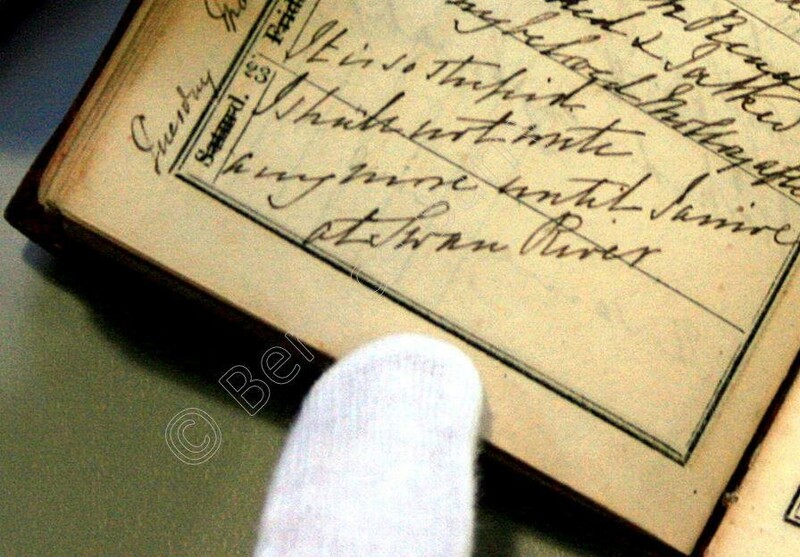 The Napoleonic Wars were over and daily life for the 95th Regiment of Foot was rather quiet. He was in the most dangerous brigade of the army because in battle the riflemen were ‘first in and last out’ but he’d survived campaigns in Portugal, Spain and France and ‘the battle for modern Europe’ at Waterloo (in Belgium). A series of events coincided leaving him with a sum of money and an opportunity to join the wave of emigrants sailing for the new colony at Swan River (now Perth) on the south west coast of Australia. Knowing he wouldn’t return for several years at the very least, he made up his mind to propose to Georgiana right away. His declaration of love didn’t come as a complete surprise but it did mean that she had to make a life-changing decision within days. He arrived in Scotland with her brother just a few weeks later and they were married by the Reverend Story at Keppoch House. After a few days’ sail a small party anchored at what is now Augusta in southwest Western Australia, the settlers’ group made up mainly of three families and their servants. It was the beginning of ten years of hardship and tragedy. Georgiana’s first daughter was born in a tent on the beach soon after she landed in Augusta and died a few days later, not the only child she would lose. The settlers almost starved in the first year when government supplies failed to arrive. Making a life so far from Perth was a struggle for everyone and in the end the huge trees that had seemed to promise fertile land were the farmers’ greatest adversaries. But, for Georgiana, there were many consolations. It wasn’t long before she began to look more closely at the indigenous flora of the south-west, growing around her cottage on the banks of the Blackwood River. She began collecting botanical specimens, adding them to her collection of dried flowers, and also sent them to her family and friends. When she received an invitation to do the same kind of work for Captain James Mangles RN, a very successful collector in England, it changed her life. There was very little personal time for any woman in the colony and simply putting food on her family’s table kept her busy from dawn until long after dark but she put her mind to acquiring the new knowledge and skills a botanical collector needed to do the best job possible. When other settlers moved further north to the Vasse (now Busselton) the Molloys stayed in Augusta and tried to carry on but eventually they moved too, leaving behind the garden that Georgiana had created there. The Molloy family moved into ‘Fairlawn’ at their grant on the banks of the Vasse river, and Georgiana began work on another garden as she continued collecting for Mangles. Each time Georgiana gave birth she suffered dangerous consequences from a recurring medical condition but she was always back on her feet and out in the bush collecting as soon as possible. When she was too weak to walk or ride, she sent her young daughters or the Aboriginal workers from the farm to collect specimens for her. When she died in 1843 after the arrival of a sixth daughter, she was thirty-seven. Georgiana was only collecting for Mangles during the last six years of her life but today her important specimens are archived in the world’s most significant herbaria including Kew and Cambridge University.